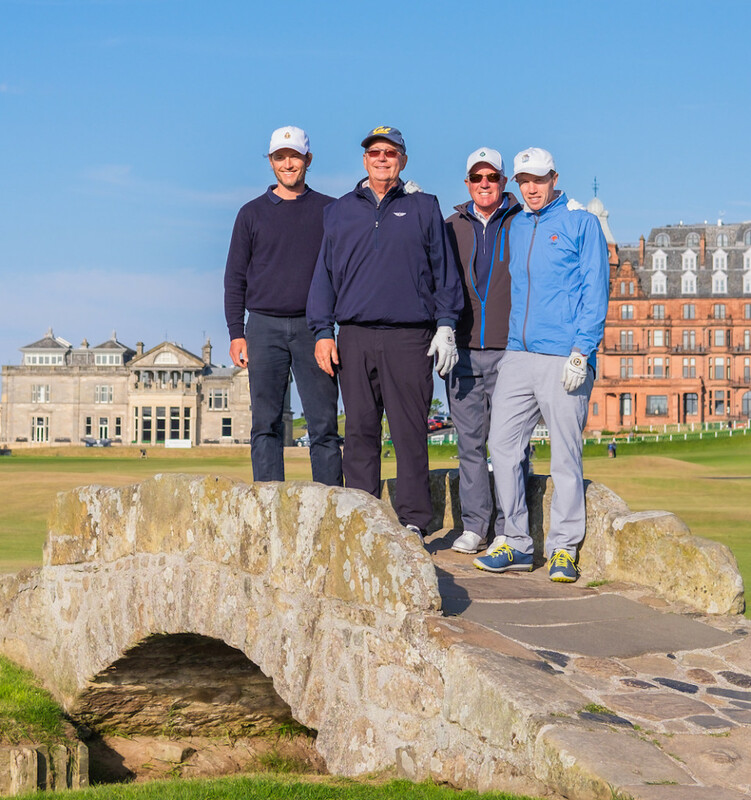 Recently, we took a group of 6 of us (fathers and sons) for a trip to Scotland. From the very beginning, Stewart was responsive and helpful, contributing massively to the overall success of the planning phase. Once we finally arrived in Scotland, Stewart was the perfect guide. He had every detail organized and ready for us prior to arrival, from hotel check-ins, tee times, caddy arrangements, golf buggy accommodations, whisky distillery tours, and food and drink recommendations. Stewart went out of his way to make sure we had everything we needed, including a few runs to the grocery store for us while we golfed. I cannot overstate enough how excellent the service was that we received, and how effortless it made our travel experience feel. I would recommend Bonnie Wee Golf to anyone and everyone travelling to Scotland. “Great job, Bonnie Wee! From the planning to the execution of our recent Scottish golf trip, you guys were great. The transportation, the tee times, the courses, the lodging, the dinner reservations, everything you handled exceeded our expectations. Thank you so much for making our trip a fantastic experience. “We had an absolutely marvelous time on the trip you helped us put together and I wanted to thank you for all your efforts and fine-tuning. Your Dad was marvelous – we got to feel he was our guide, helper, driver, friend, and adviser (not to mention the major supplier of snacks and drinks on your great vehicle.) He truly made the trip unforgettable. The itinerary turned out to be as wonderful as we hoped. 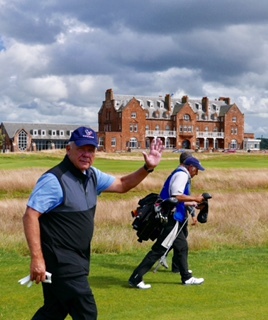 There were so many little details that I shall always remember – Royal Aberdeen was so welcoming and fun, Cruden Bay was spectacular and challenging – the Kilmarnock Arms was charming (great food as well by the way). We loved stopping at Slains Castle and the Bullars of Buchan for their sheer beauty. Cornhill Highland Games were great fun – loved the local feel of it – The location in Inverness was so good we could walk everywhere in town we wanted to – Barbara, David and I walked to the Ness Islands one evening and up to the Castle – lovely. Nairn was great – caddies were good everywhere. Cawdor Castle and Urquhart Castle are so well worth visiting. The Riverside Restaurant was awfully good – though I think our favorite had to be Luigi’s in Dornoch – now I understand the necessity of making those reservations in advance! 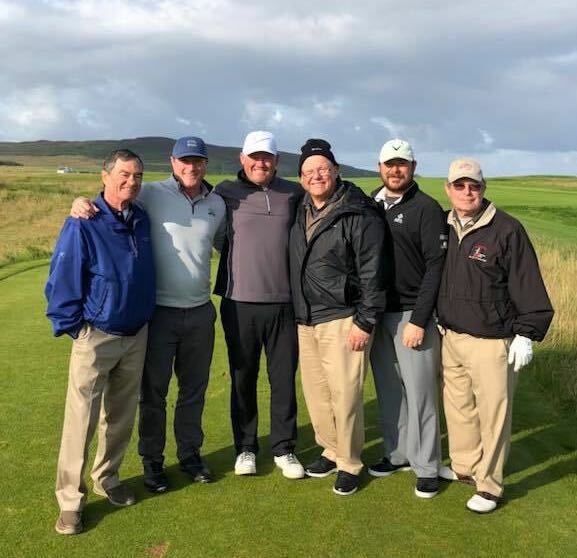 Loved Royal Dornoch – great place to stay right on the first tee there. We enjoyed walking around the town as well. Also, the falconry demonstration at Dunrobin Castle was top-notch – not just a falcon, but a harrier hawk and a beautiful owl – all of which were amazing. That is quite a setting. We were blessed with good weather for the most part. The ride back down to Glasgow was fine – Glencoe never ceases to amaze me and the Holly Tree was a perfect mid-day stop. Got a question? Send us an email with your Scottish golfing questions and we'll get back to you right away! +44 7779 994236 for more information. We email our newsletter four times a year, or whenever we have any exciting scottish golf news to share with you. Your privacy is of paramount importance to us and we will never share your details with anyone else. Contact the BWG team for more information. Luxury golf holidays and vacations to the best golf courses in Scotland, Ireland and Europe.